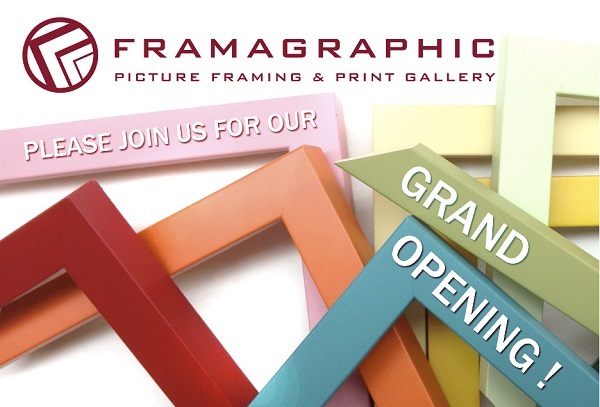 Framagraphic is now settled in to our new location! To celebrate, we are offering a 30% discount on custom framing orders March 5th to April 5th. Please feel free to drop and take a peek at our newly designed shop! Our bigger design table will help us to better work with your large and oversize pieces, and our new workflow layout in the shop will help us finish your pieces more efficiently. Many hours went into the move, and we are extremely grateful for all the dedicated helpers who helped to make the transition a fairly seamless one! Thank you!